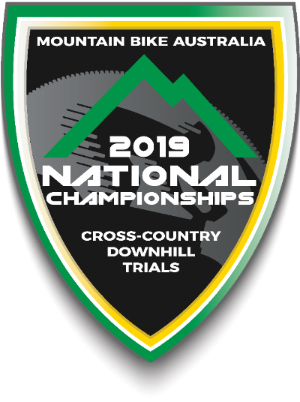 The 2019 MTBA National Championships for Cross-Country, Downhill & Trials are only days away! Online registrations closed on the 31st March. Late entries will be accepted at the event, however a late fee of $25.00 per person applies. Late registrations strictly close the day before the scheduled race and will only be accepted during the published registration times per the event schedule, i.e. races held on Sunday close for registrations on Saturday. Riders competing in the Oceania MTB Championships are required to register for this event separately from Monday on-wards. 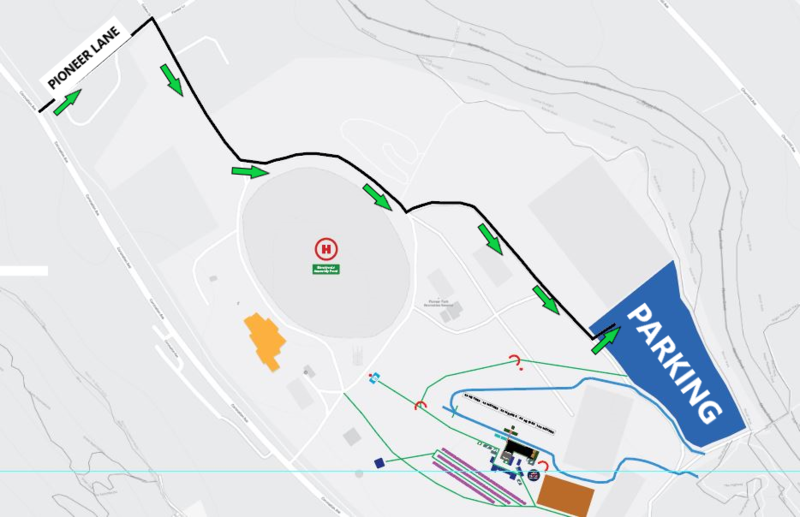 All vehicles will need to enter the venue via Cobden Street, from Pioneer Lane (all other entrances to Pioneer Park will be closed for the duration of the event). Click Here to view a Venue Map including Parking. Click Here to view the National Championship event schedule. Click Here to view the Oceania MTB Championship event schedule. Check your registration packs for special offers from MTBA Partners and our Event Sponsors. If you're staying on in Bright for the Oceania MTB Championships, don't forgot you need to register separately for this event. Online Registrations close TONIGHT. Click Here to register. All riders are expected to wear a compliant helmet at all times whilst on their bike. This applies during competition, practice and when commuting to and from their events. Downhill riders must wear a full faced helmet meeting AS2063 or equivalent standard. To ensure all riders comply with the regulations, and their helmet meets current safety standards, helmets will be inspected by a Commissaire when riders collect their race plate from the registration desk. A small MTBA Helmet Approved sticker will be provided to riders when the Commissaire verifies the helmets compliance. To view more about Helmet Regulations, please refer to the Participant Guide. 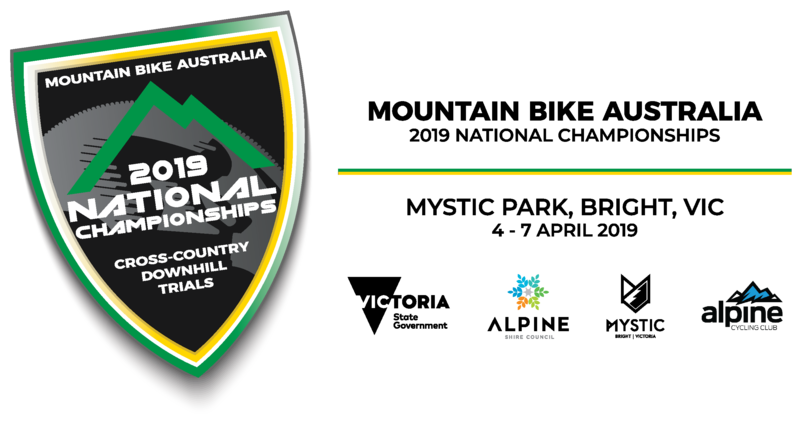 Besides the racing, the National Championships feature a variety of support events for the wider mountain bike community to get involved with. Friday morning will see the inaugural women in mountain biking breakfast and include discussion with a panel of women involved in mountain biking either on the trails or behind the scenes. Sharon Heap, Lee Brentzell, Shelly Flood, Jo Frew, Heidi Thomas and Samara Sheppard will share stories and tales throughout the 1.5 hour breakfast. If you missed out on a ticket, the breakfast will be live-streamed via the MTBA Facebook Page. 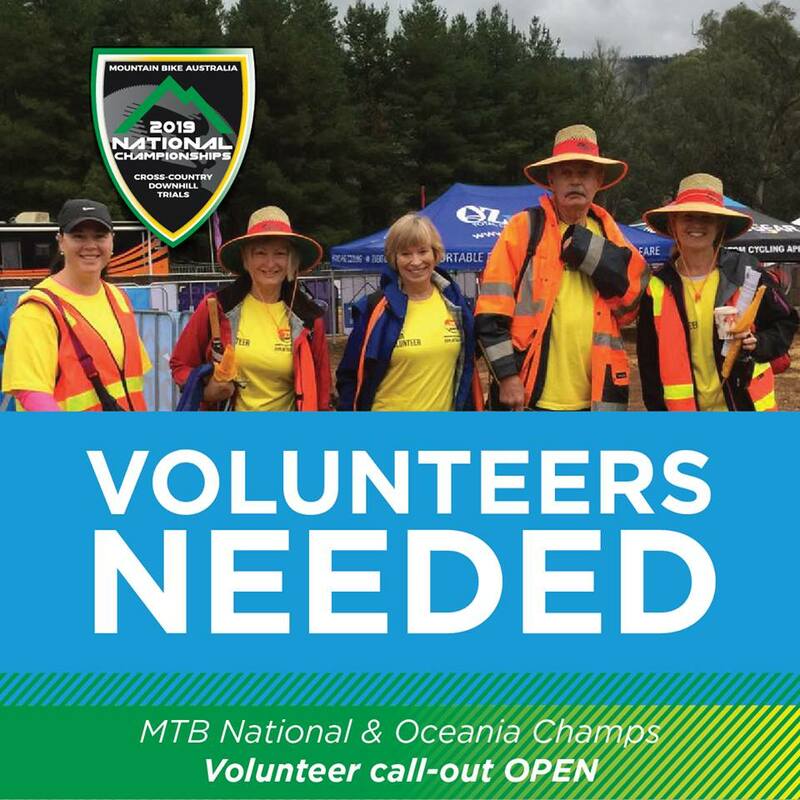 There are great volunteer opportunities at the 2019 MTBA National Championships. Register as a volunteer and be in the running for some great giveaways.